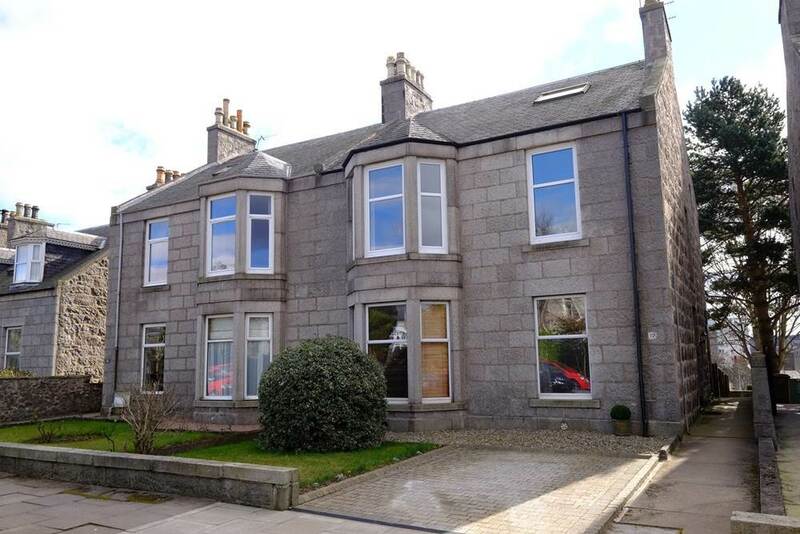 Situated in a quiet tree lined west end location, this immaculate self contained double upper apartment forming part of a fine granite semi detached property has been thoughtfully extended and comprehensively upgraded to provide a layout, standard and finish compatible with the modern lifestyle. Beautifully presented throughout, the property is of fresh tasteful décor in muted and grey tones creating a chic and sophisticated home affording the opportunity to move in with the minimum of inconvenience and amongst its added features enjoys the benefits of Gas Central Heating and Double Glazing and beautiful period features include high ceilings, original plaster work, original doors, double height skirting boards, bay window in the Lounge and decorative window shutters. The accommodation is exceptionally bright and airy providing a pleasant living environment and will represent an excellent purchase for the discerning buyer requiring a quality, west end property. In addition the carpets and other floor finishes and fitted blinds are all to be included in the price. This property is undoubtedly the finest example of its type presently available and accordingly early viewing is recommended to avoid disappointment and fully appreciate the many fine attributes on offer. 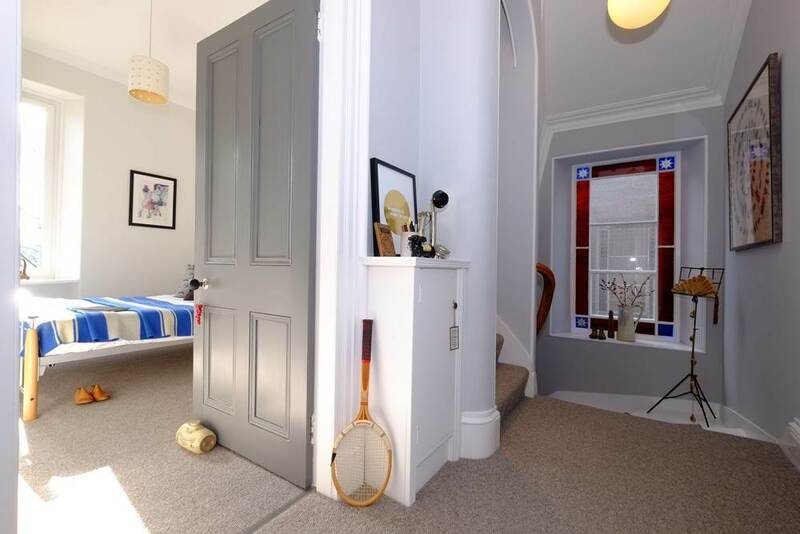 Braemar Place is a popular tree lined street in a sought after and well established residential location in the heart of the west end of the city. 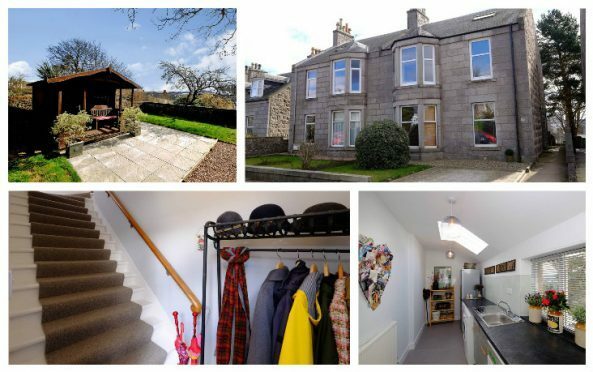 Close to Aberdeen City and accessible by a variety of arterial routes with the location being extremely convenient for various oil related offices, the City Centre and west end of the city with its many pubs, clubs, restaurants and leisure facilities are all within relatively easy walking distance. The street enjoys a particularly open feel with the neighbouring properties across the road being set far back from the roadside allowing a pleasant front aspect from the property. DIRECTIONS: From the west end of Union Street continue onto Holburn Street, at the roundabout take the third exit (continuing on Holburn Street) and at the mini-roundabout take the second exit onto Broomhill Road, and first left into Balmoral Place and first right into Braemar Place No 17 is on the left hand side. 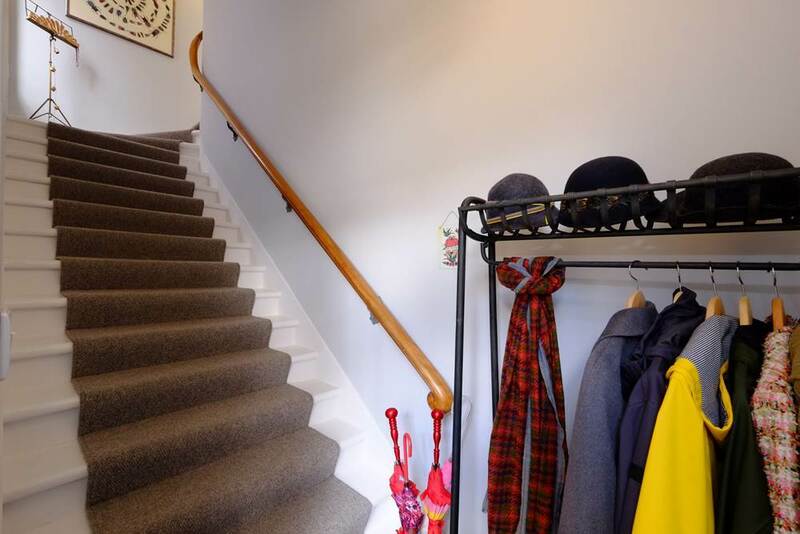 ENTRANCE HALLWAY: A upvc door opens to the instantly appealing Entrance Hallway, which has a timber staircase with carpet runner and wooden handrail leading to the First Floor Hallway. A large side facing stained glass window to the side provides this area with a good ingress of natural light. HALLWAY: The welcoming Reception Hallway with panelled doors offers access to the lounge, kitchen, dining room/double bedroom, additional double bedroom and shower room. Meter cupboard, fitted carpet, 2 x light fitment. LOUNGE: 18’06” x 15’ approx. 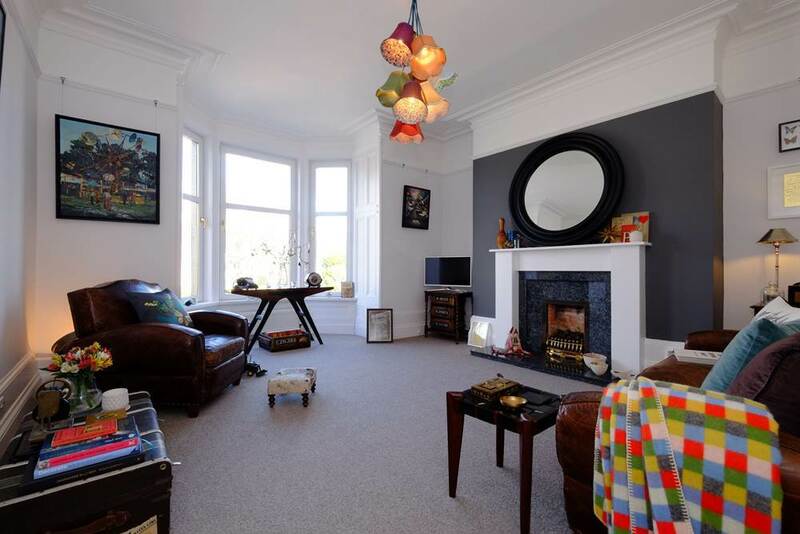 Featuring a large bay window offering a pleasant open front aspect, the spacious Lounge features modern décor, which compliments the original features including decorative window shutters, coving, picture rail and double height skirting boards and a further attractive feature is the living flame gas fire set within an attractive fireplace. Fitted carpet. DINING KITCHEN: 12’3” x 10’10” approx. Situated to the rear with a lovely City outlook, the Dining Kitchen is fitted with a range of base and wall mounted units incorporating ample work surfaces with attractive glass splashback and inset one and a half bowl sink unit. The units further incorporate a built-in Oven, Hob with Extractor Hood above and integrated Dishwasher. There is ample room for informal dining. Built-in larder, light fitment and downlighter, vinyl flooring, access to utility room. UTILITY ROOM: 15’10” x 5’9” approx. 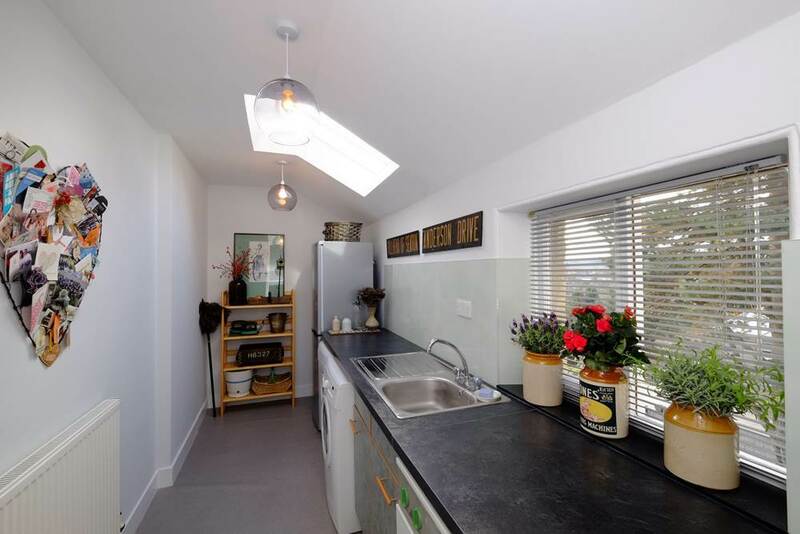 Exceptionally spacious Utility Room with large Sky light flooding this room with natural light. Ample units and space is provided for a washing machine, tumble dryer and free standing fridge/freezer. The central heating boiler is located in this area and there are built-in cupboards offering additional storage. 2x light fitments, vinyl flooring. DINING ROOM/DOUBLE BEDROOM: 13’ x 10’ approx. Presently used as a Double Bedroom, this versatile room could be used as a Dining Room or Family Room if required. Light fitment, fitted carpet, low level cupboard housing the gas meter. DOUBLE BEDROOM: 13’08” x 8’08” approx. Double Bedroom with open rear aspect. Light fitment, fitted carpet. SHOWER ROOM: 8’10” x 5’06” approx. 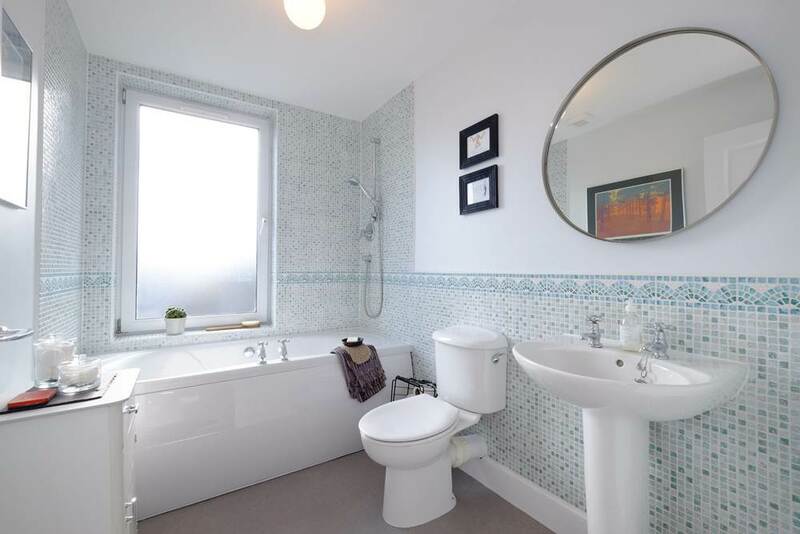 Completing the first floor accommodation is the stunning Shower Room fitted with walk-in shower enclosure with waterfall head and glazed shower screen, w.c and wall hung wash hand basin. Attractive wall linings and ceramic floor tiling allied with underfloor heating. Ladder style towel rail and extractor fan. STUDY: 8’04” x 5’ approx. Useful Study located on the mezzanine floor. Opaque side window, light fitment, fitted carpet. HALLWAY: Hallway with Sky light allowing natural light. Access is offered to the remaining accommodation on the second floor. Light fitments, fitted carpet. MASTER BEDROOM: 23’09” x 11’11” approx. 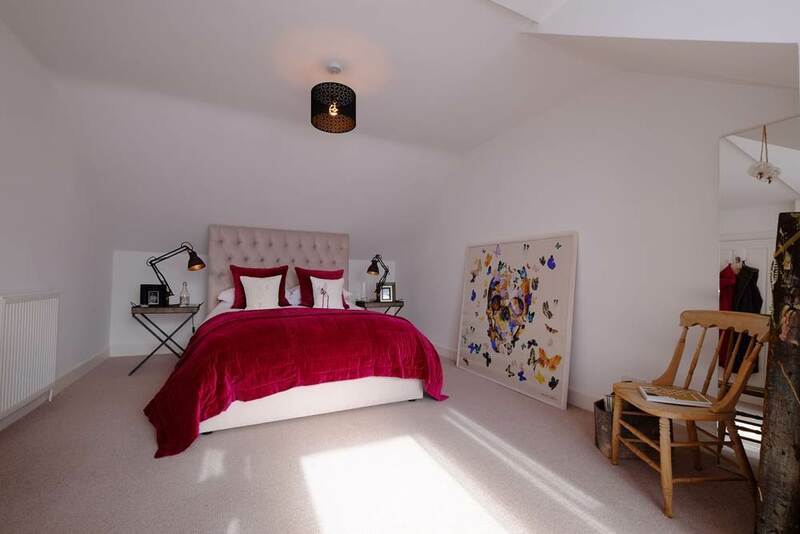 Enjoying a beautiful open outlook to the rear through a bay window, this extremely generous Master Bedroom features attractive modern décor with separate dressing area, complimenting fitted carpet and the advantage of a large built-in storage cupboard. The freestanding furniture may be available by mutual negotiation. Eaves access where sizeable useful storage is offered. 2x light fitments. DOUBLE BEDROOM: 11’11” x 8’04” approx. 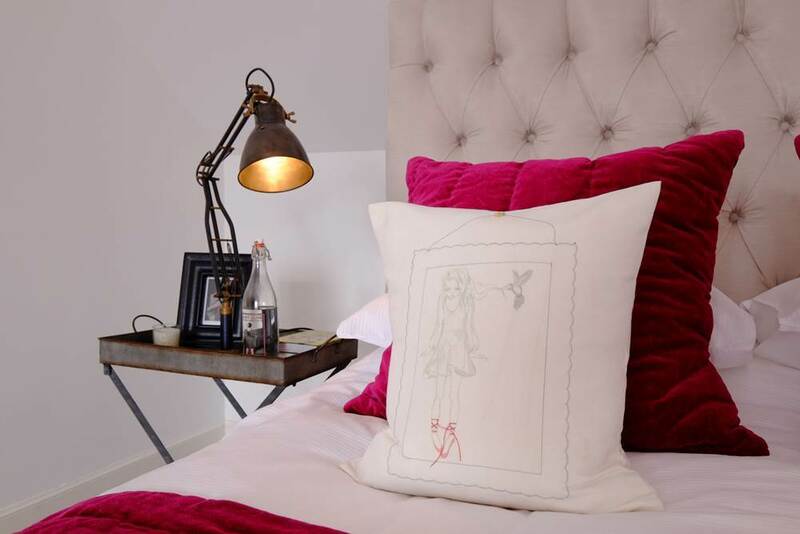 The delightful Fourth Double Bedroom with a large front facing Velux window drawing in ample natural light. Light fitment, fitted carpet, eaves access offering valuable storage space. FAMILY BATHROOM: 9’07” x 5’11” approx. 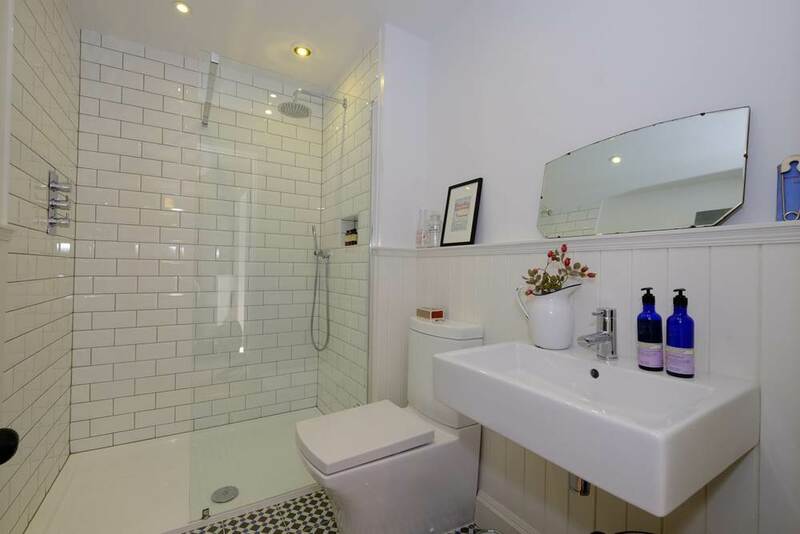 With an opaque window to the rear, the Family Bathroom is fitted with a modern white suite comprising bath with shower over, w.c and pedestal wash hand basin. Splashback tiling, vinyl flooring, light fitment, extractor fan. PARKING: Ample on street Parking available. 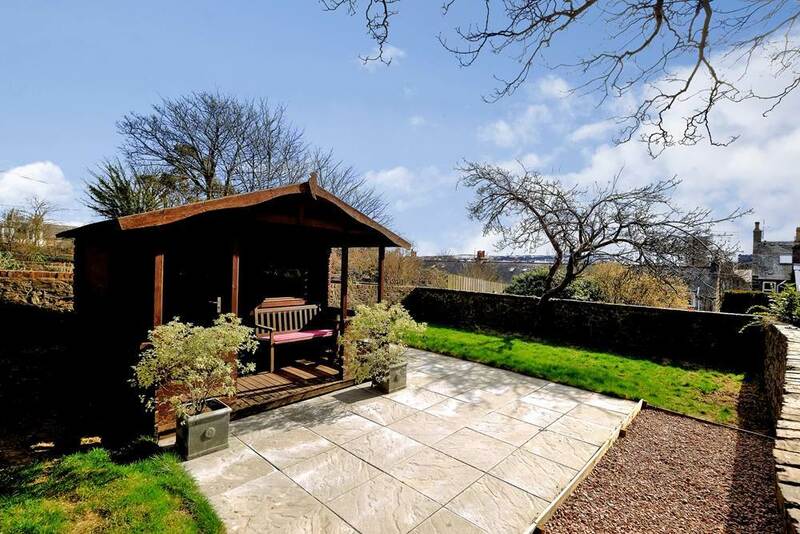 REAR GARDEN: Fully enclosed and enjoying a good degree of privacy, the exclusive Rear Garden is mainly laid to lawn with a mature apple tree and enjoys a bright sunny southerly aspect allowing the sunlight all day into the evening. The Summerhouse will be included in the sale. Shared bin store area with neighbouring ground floor apartment. GENERAL: All carpets and other floor coverings and fitted blinds are to be included in the price. Some items of furniture along with the white goods are available under mutual negotiation.